To install new locks into doors is an easy enough task for your local locksmith, but is difficult for those of us who do not possess the correct knowledge. Why do people install new locks in the first place? Sometimes it is necessary to change the locks of your home when someone moves out and they have the key still. Many people discover how low quality their home locks are and feel uncomfortable so they want a higher security lock. 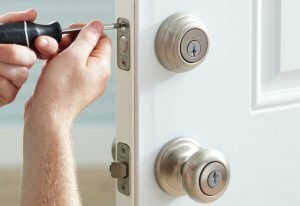 You may be surprised to discover that often times when you move into a new home that the front door locks are NOT changed from the previous homeowners locks. Despite the law that everyone is supposed to turn in their keys, many duplicates are mistakenly kept. Having new locks installed in your new house is an excellent way to ensure no one can walk into your home without your approval. To even begin starting to install a new lock or a deadbolt on a door with a lock system, you must have the current doorknob/lock uninstalled from the door. A locksmith with the proper knowledge can perform this service for you. 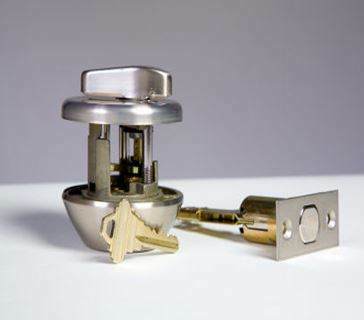 There are many small details that must be attended to that only your local locksmith can assess accurately when performing a lock installation. At this point, the locksmith in Spokane will need to ascertain the Backset and the Handedness of your door, which is locksmith jargon for the measurements of your door.The Door Backset is from the center of the lock hole to the edge of the door. Door Handedness relates to whether your door is left or right handed. Position yourself to so that your door swings away from you as you open it, and then take a look at the hinges. If the hinges are on your right, you have a right handed door. If the hinges are on your left, you have a left handed door. These measurements do vary, so be certain it is measured before your new lock and knob are purchased. Your locksmith will use these measurements to ensure that you are provided with the best lock parts for your needs. Once your locksmith has accomplished taking out the previous door lock and have taken your door’s measurements, you will be ready to install the new lock. Installing a new lock requires specific instructions based on the type of lock and doorknob in which your local locksmith can assist you in efficiently choosing. After your lock and doorknob are successfully installed, your door shouldn’t stick and your door lock should lock and unlock smoothly without any problem. Now you can relax with certainty that no one that you do not know will be able to enter your secure home.